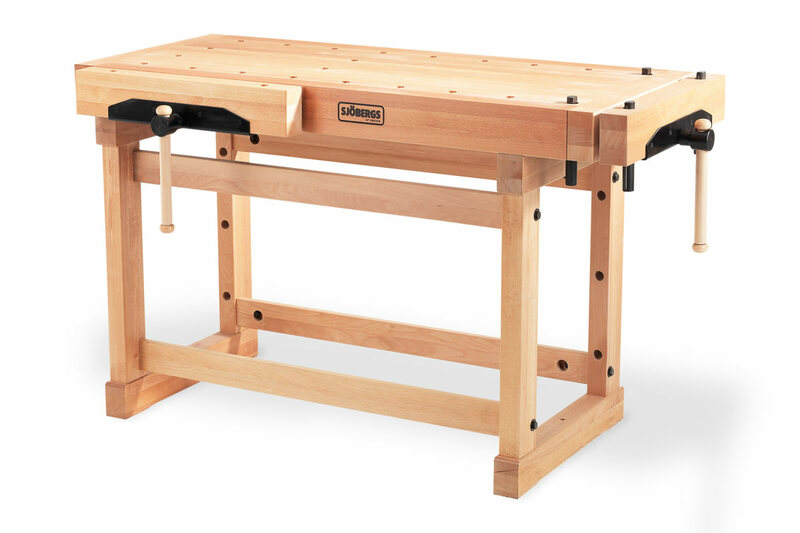 Workshop Tools - Which Workbench Is Best For You? 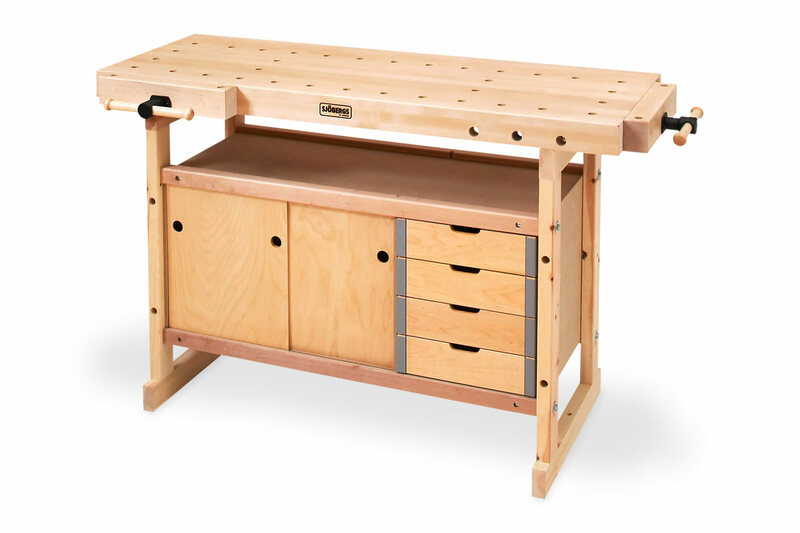 Which Workbench Is Best For You? 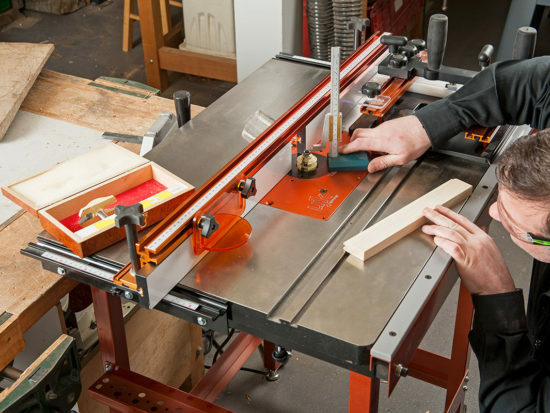 The workbench is the focal point of any workshop, but what is the best workbench for you? A number of key questions need to be asked before you make a choice. How much space do you have? What is your budget? What is the main type of work you will undertake? In this guide we’ve split our benches into three main categories General, Premium and Bespoke. Of course, if you feel up to it, we have all the tools you need to build your own! When looking to buy a new workbench most of us will have space issues. It is important to make the most of the space available and getting one with as much working area as possible will always be useful. If space is limited try our Axminster and Sjöbergs benches in our general section. If you are planning a new workshop take a look at our setting up a workshop series. As we have said earlier, the workbench is the focal point of the workshop. However, having some money left to buy all those tools is equally as important. Axminster have quality bench options for all budgets. 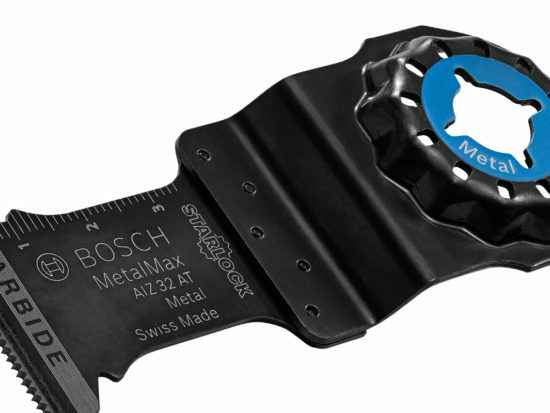 Are you a woodworker or a metal worker? Or, maybe you’re both? Whatever you are this will have a bearing on what bench you will need. 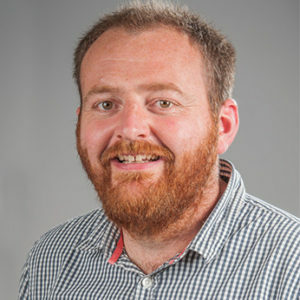 A woodworker, for example will be looking for at least two large vices and plenty of dog holes with options available in Premium, General and Bespoke. Whilst a metalworker will want a metal framed bench to be able to hold heavy loads, options available in General and Bespoke. Our general section covers a wide variety of budgets and uses. We’ll start with the Swedish made Sjöbergs brand. 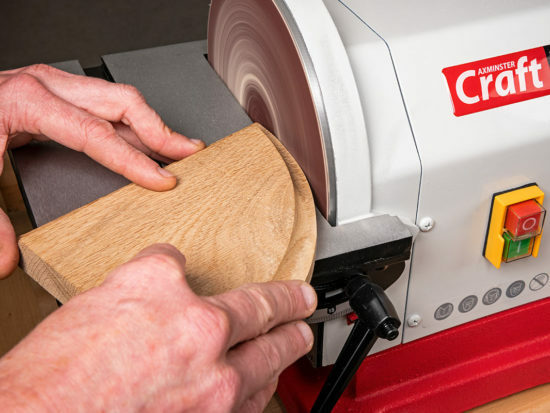 We offer two entry levels options, the Hobby Plus 1340 and the Nordic Plus 1450. Starting with the Hobby Plus 1340 workbench, which, as the name would suggest is firmly in the Hobby/DIY camp. The 1340mm long worktop (made from European birch) makes this perfect for when space is limited in the garage or workshop. 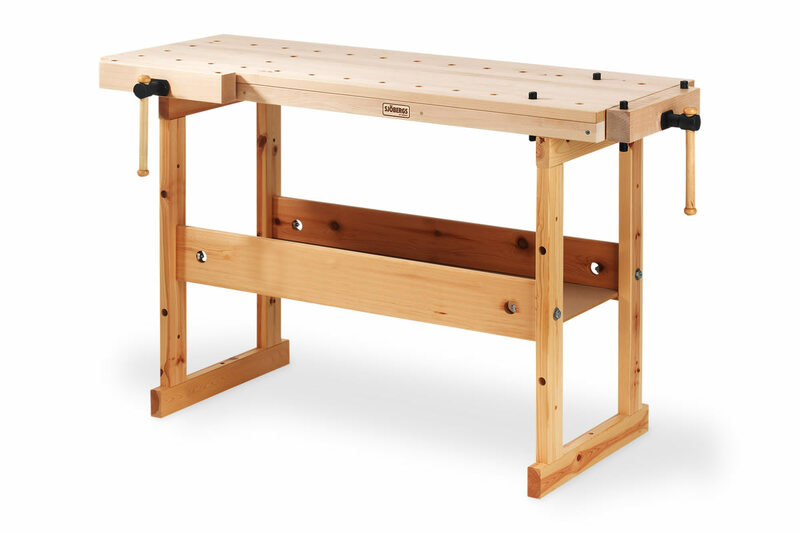 Two rows of bench dogs, optional storage unit and plenty of useful accessories make this the perfect first time bench for crafting and DIYing. Similarly, the Nordic Plus 1450 is firmly in the crafting and DIYing camp. Again made from hard Nordic birch. 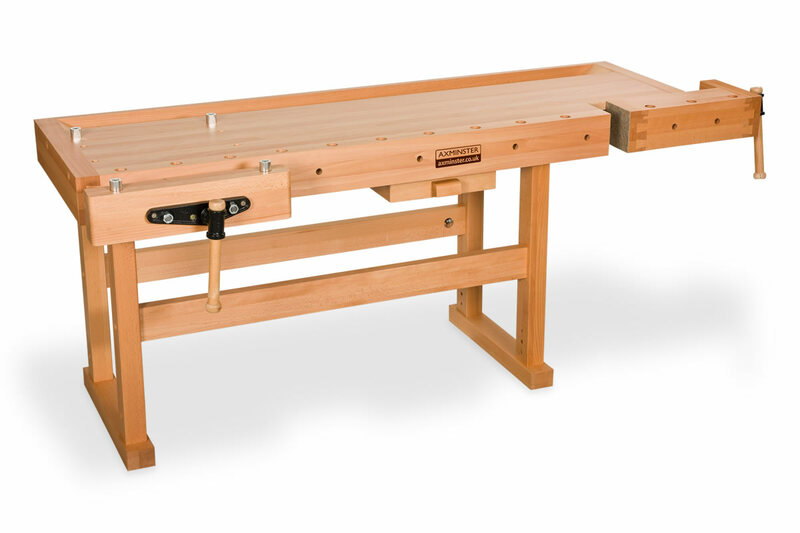 Slightly longer (1450mm) than the Hobby Plus 1340, it allows the user to use it as a left or right handed bench. A storage module and full list of accessories are available. The Axminster Diamond D2 has a hard wearing, 1350mm long, solid beech laminated work surface, making it not only hard wearing, but extremely sturdy also. Designed to be used as a left or right handed bench, it also utilises the 20mm dog hole accessories available, plus there is an additional storage module available. 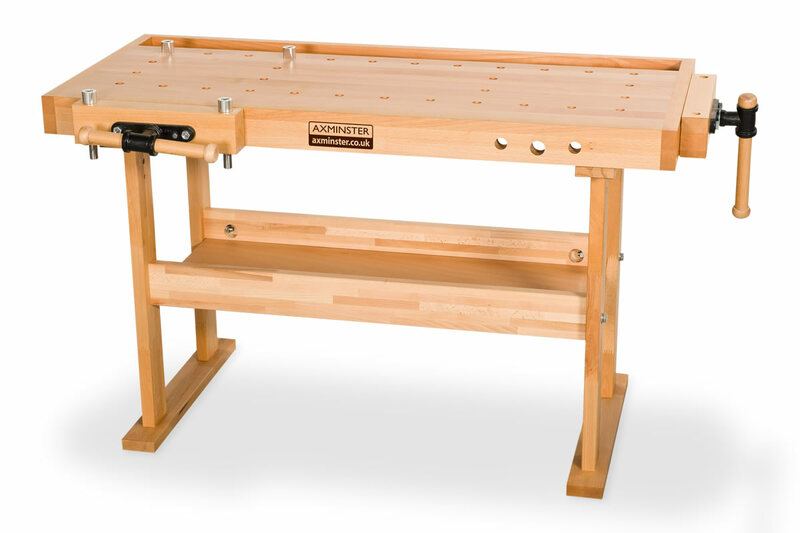 The final instalment in the general category is the Axminster 1700 workbench. 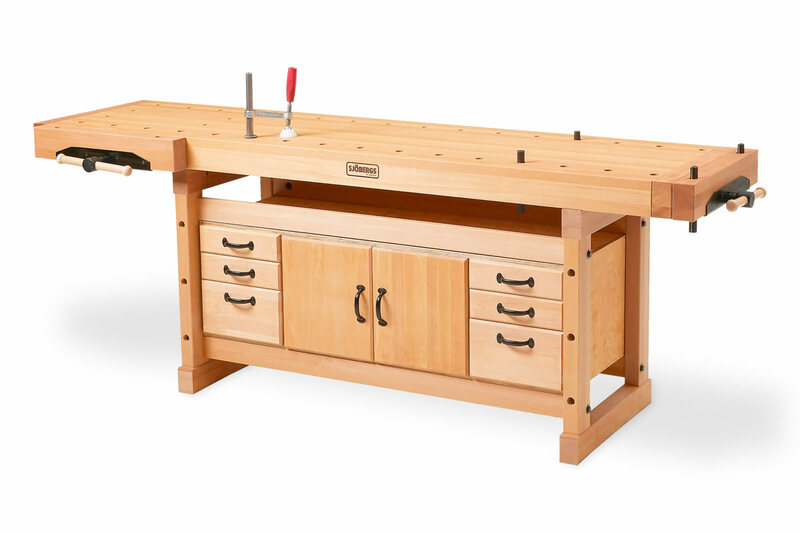 An affordable hobbyist bench, that gives you plenty of space to work on with the 1700mm work surface. Made from laminated beech, this bench is lacquered on both sides offering maximum protection against movement and warping. 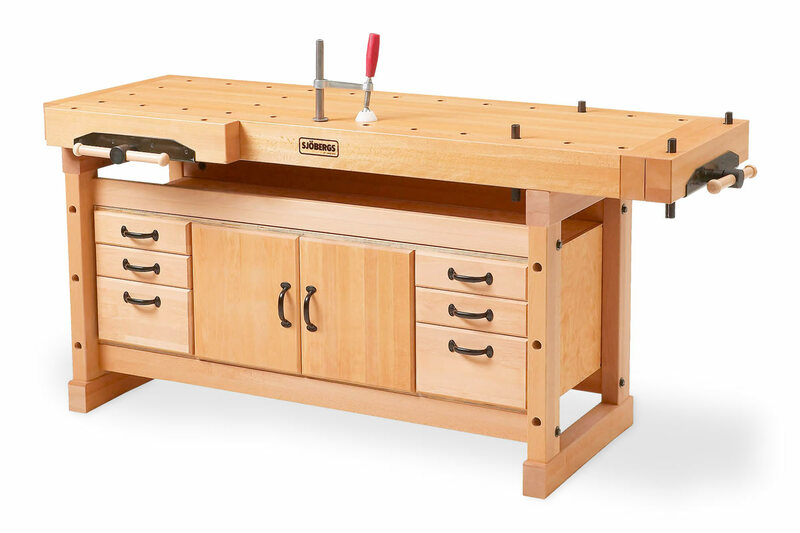 The two Sjöbergs benches offer excellent options for crafters and DIYers from a respected name in the market. 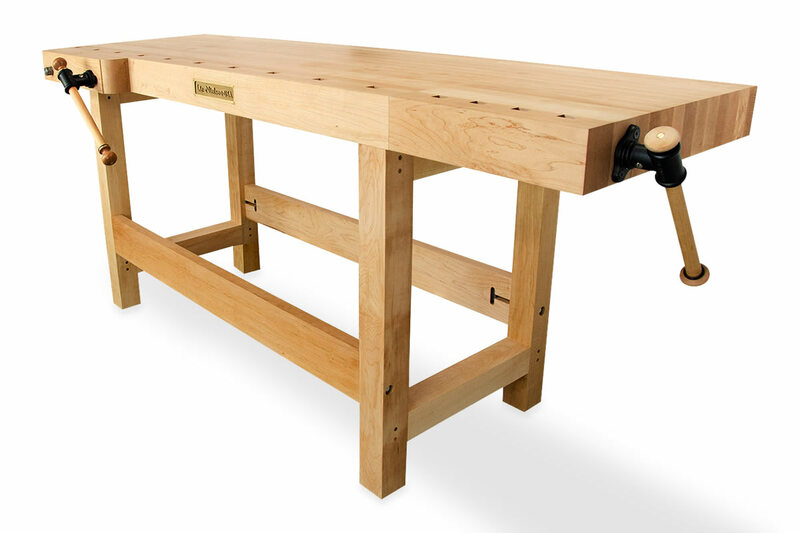 Axminster’s Diamond D2 bench is a serious DIYers bench where space is at a premium. 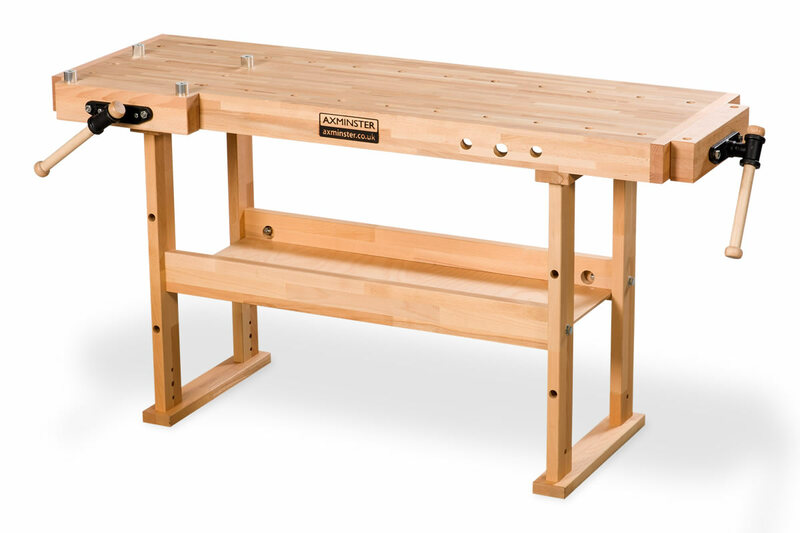 If you need a larger hobby bench, that won’t break the bank, then look no further than Axminster’s 1700 workbench. Our Lie-Nielsen benches really are a workbench to last a lifetime. Designed specifically with the wood worker in mind by highly skilled woodworkers, each bench is made of the highest quality North American maple. The choice of heights make them tailor-made to suit you and your workshop. These benches are then constructed by our Skill Centre team and come delivered to your workshop by Axminster’s own transport. If there is a Rolls Royce of benches these are them. Sjöbergs Elite range of Cabinetmaker’s benches are constructed in European beech, which is renowned for its toughness and longevity. 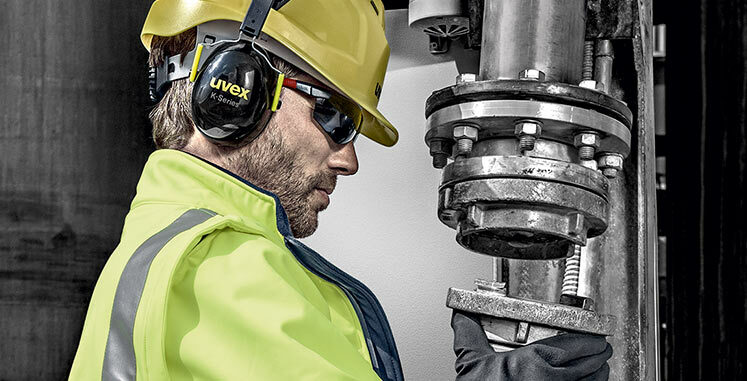 These are designed with the professional firmly in mind. 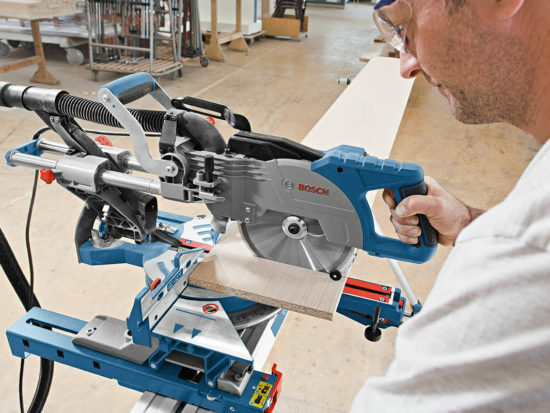 To aid rigidity, these benches are heavier than most others of this type, the two quality vices and double row of bench holes allow the most complex of jobs to be undertaken. Available in three lengths, 1500, 2000 and 2500mm, each size can incorporate two types of storage module. Completing the premium range is our flagship Axminster bench. The Axminster Premium Monster M is traditionally designed and has a heavy duty construction made from European beech. 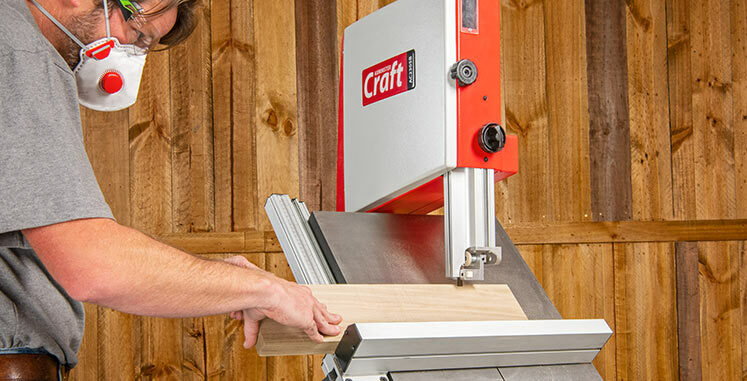 It’s 1910mm length to has an integrated full length tool tray and an optional cupboard gives more tool storage. A unique feature on this bench compared with the others in this category is its use of 20mm dog holes, this allows the bench to be used with a number of Veritas bench accessories. The Lie-Nielsen benches are beautifully constructed and will last a lifetime, but obviously come at a higher price. The three offerings from Sjöbergs give you size options which don’t impact on quality. The Axminster Monster M offers fantastic build quality for the price and compatibility with top Veritas accessories. 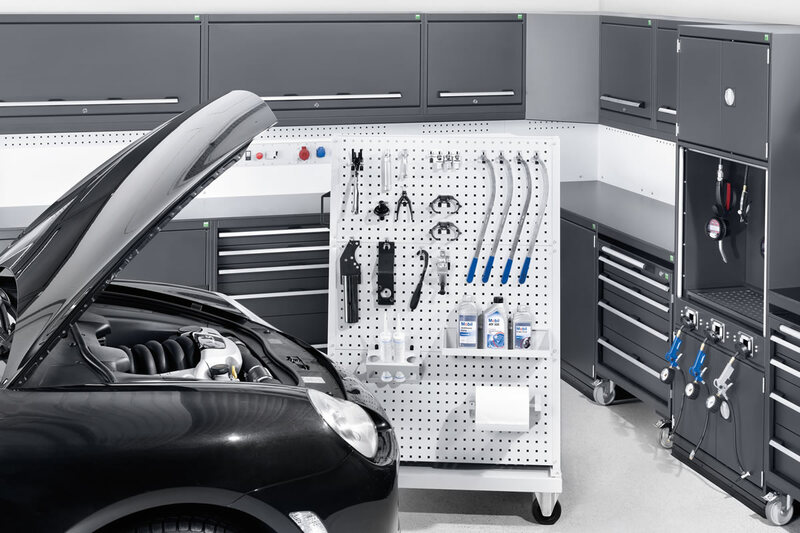 Working with a company like Bott has allowed us to offer a bespoke workbench solution no matter what space or usage requirements you have. If you cannot find what you are looking from any of the above, our Bott bespoke option will have something for you. An almost unlimited option of heights, lengths, materials, cupboard and shelf options are available.